At 800 years old New Hall is reputed to be the oldest inhabited moated house in England, dating back to the 12th Century, built by the Earl of Warwick as a hunting lodge, and stands majestically in 26 acres of wonderful grounds. Facilities include a 9 hole golf course, spa, health club and tennis court. New Hall boasts two restaurants – 2AA rosette The Bridge opened for dinner Thursday, Friday and Saturday evening. The Terrace Restaurant, is more relaxed, offering a Brasserie style menu, offering dining throughout the week. 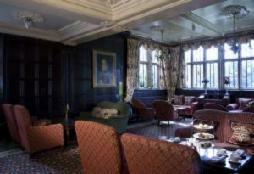 New Hall Hotel & Spa in West Midlands has a long history of providing discerning guests fine hospitality. Today this tradition continues with a unique blend of modern and luxury British hospitality. 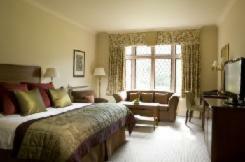 Offering 60 bedrooms and set within 26 acres of elegant grounds. Sympathetic renovation has provided luxury up-to-the-minute facilities whilst retaining most of its medieval charm and character. 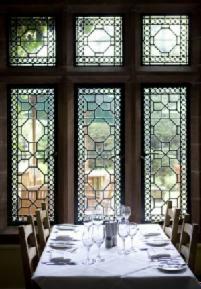 New Hall Spa in the West Midlands is perfect for relaxation and Spa breaks, as well as fine dining in the West Midlands, with our elegant private dining rooms and Fine Dining Restaurant. Inspire your delegates at our conference venue in the West Midlands.